122 pages | 15 B/W Illus. Providing specific, attentive feedback to help students take charge of their learning. The book also features book discussion questions for each chapter so you can work with colleagues during book studies and PLCs. Chapter 1: Creating Possibilities: The Co-Teaching Models and Beyond! Elizabeth Stein is a teaching veteran, with more than 25 years' experience, spanning grades K–12. She is currently a special education/UDL instructional coach and new-teacher mentor in Long Island New York’s Smithtown Central School District and a CAST cadre member. 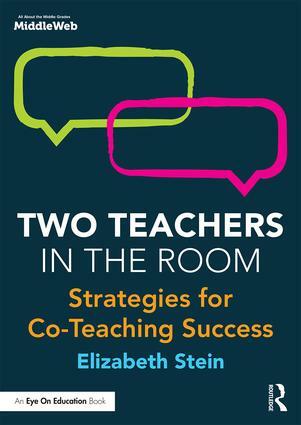 Elizabeth also writes the popular "Two Teachers in the Room" column for MiddleWeb.